Gold climbed to $1,710 an ounce on Tuesday buoyed by news of a Japanese round of quantitative easing and a weaker dollar. Japan's move to flood market with cheap money follows similar measures in Europe and the US Fed's third round of QE which kicked off in September. The good fortune of the yellow metal seems increasingly tied to monetary policy in the US – easy money adds to gold's allure as an inflation hedge and storer of wealth amid currency depreciation. Rallies in the metal has been most striking under democratic presidents – when gold set a record in 1980 of $850 (some $2,400 in today's dollars) it was under Jimmy Carter and of course Barack Obama was in the White House when gold hit a record above $1,900 last year. But the real “Romney risk” for the yellow metal has nothing to do with fiscal policy. Instead, traders and investors are focusing on the likelihood that if Mr Romney wins the November 6 election, he would replace Ben Bernanke with a more hawkish chairman of the Federal Reserve when the latter’s term expires in January 2014. If that means a change in direction from the Fed’s current experimental and super-accommodative monetary policy, gold could suffer. Recall the sharp sell-offs earlier this year when expectations of quantitative easing were deferred. “From the gold market point of view, the Fed is the significant thing,” says one major hedge fund investor in the yellow metal. Likewise, an Obama victory may be the green flag gold bulls have been waiting for. The Fed's QE programs and ultra-easy policies have been a massive boon for gold. The Fed's near-zero interest rate policy and bond purchases under QE1 kicked off on 16 December 2008. On 15 December 2008 an ounce of gold cost $837.50. That's a more than 111% improvement for the precious metal on the back of QE1 and QE2 which followed in August 2010. Another of the Fed's programs to keep interest rates low, Operation Twist, which started in September 2011 has also boosted the price of gold. The gold price has taken a few hard knocks from 2011's record levels and the spikes downward have all been thanks to actions or pronouncements by chairman Ben Bernanke and the Fed. At the same time volatility in the gold price has increased dramatically. That was not the first time traders got cold feet after breaking an important psychological level. A similar pattern was followed in the days after the metal reached a record high above $1,900 an ounce in August 2011. The yellow metal slid for two days after hitting the record, losing $105 or 5.6% in value in a single day. 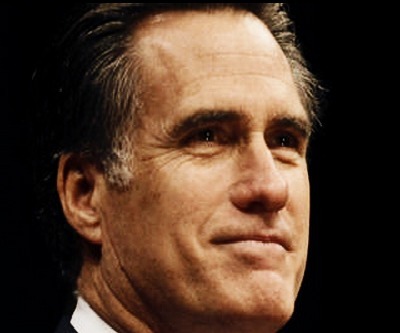 Image from Mitt Romney Media.